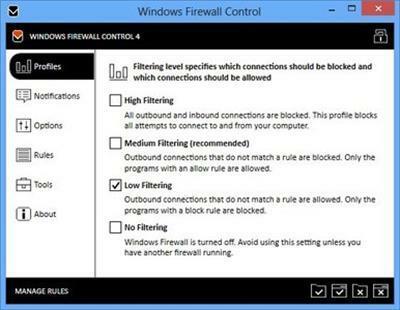 Windows Firewall Control is a nifty little application which extends the functionality of the Windows Firewall and provides quick access to the most frequent options of Windows Firewall. It runs in the system tray and allows user to control the native firewall easily without having to waste time by navigating to the specific part of the firewall. - Just one small executable file. All features are packed in the same file. - Intuitive and easy accessible interface in the system tray. - Full support with standard user accounts. - Possibility to create temporary rules. - Disable the ability of other programs to add Windows Firewall rules. - Multiple and easier ways of creating new rules in Windows Firewall. - Full support of creating, modifying and deleting Window Firewall rules. - Lock feature which can disable the access to the settings of the program. - Shell integration into the right click context menu of the executable files. - Search for invalid rules with the possibility to delete them. - Search for executable files through folders and create new rules in seconds. - View recently blocked connections and create new rules from the log. - Choose if you want the program to start at user logon. - Import and export the settings of the program. - Protection to unauthorized uninstall. - Possibility to restore previous settings at uninstall. - And many more. 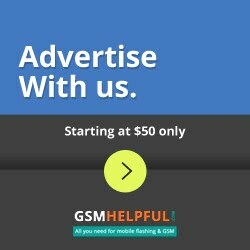 Just try it out.